Attainment implies non-discussion and discussion implies non-attainment. A man of knowledge can never get into any discussion..
Baba always advocated daan (charity) & feeding the poor. but you can definitely reach me. Tulasidas ji once was invited to a krishna temple. jaba dhanush bana lo haath. Basically he prayed, "O krishna, you look beautiful, but my nistha is with rama. so, if you pick up bow and arrow (the weapons of rama) then i would bow down to you." and lo! the moorti suddenly changed into the form or Rama. Tulasidasa fell dandavat with tears of love in eyes and smile of joy. moon, stars and planets and of telling the future from them. The famous phrase "other things being equal" applies here also. Other things are date, time and place of birth. Now a days the observations of any two astrologers do not tally. Baba used to say in a philosophical way 'What you sow, you reap'. Blessed are those who accept the will of God, saying Oh God ! Unfortunate are those, who are unable to accept His will. SaiRam Dear Subhdra..I have a translation ready for you. Hope everything is fine over there? Thanks alot for making me to know the message. 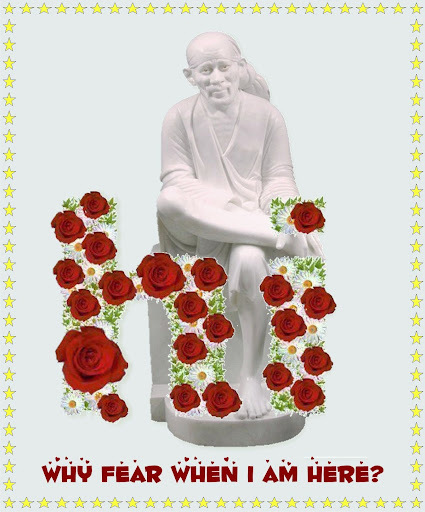 Sai bless you and all your family members always. Happy MaharaSankranthi to you all. I am very happy to see your best wishes to me and my family. Sai is great so are His leelas. 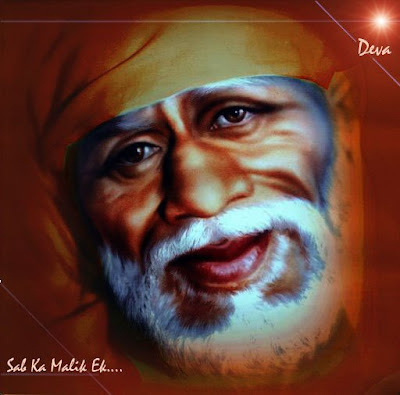 like you.Sai bless you with good health. To remember God, is life & to forget Him, is death.